During September, the children had the opportunity to work with the children's charity, NSPCC. Some of the ladies from the charity came into school to talk to the children out the importance of 'Speak Out, Stay Safe'. Following an assembly, year 5 and 6 children carried out workshop activities. After this learning, the school decided to carry out some fundraising to help this worthy charity. 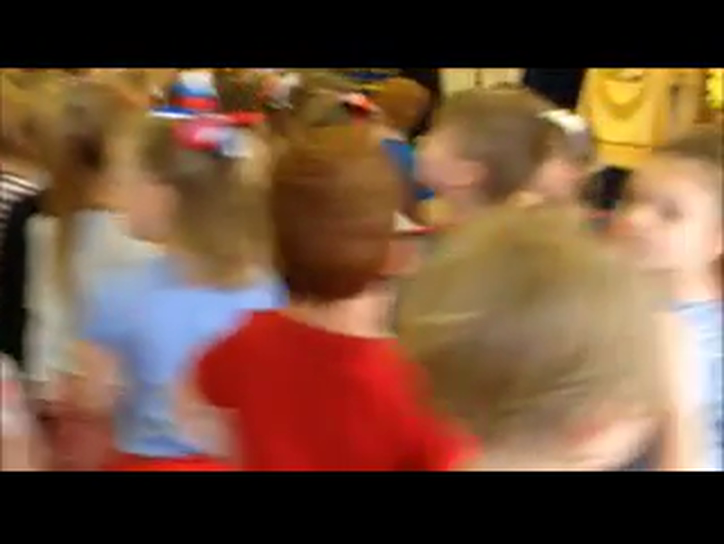 We completed a 'Dance-a-thon', dancing every hour, on the hour, of the school day. The money then started to roll in and we raised a massive £1766.36 for the charity! A massive thank you to the children, friends and families for all of their support! At St.Botolph’s Primary School we promote ‘British Values’ through our spiritual, moral, social and cultural education. This is at the forefront of our curriculum planning and is threaded through many different activities. The community at St.Botolph’s Primary School are determined to provide a model of behaviour for our pupils to ensure that values and attitudes are successfully developed. "Being British means that we have a fair democracy. We get a say in who runs as Prime Minister where as in some countries, this is not the case." "Being British means respecting our Queen.Also, we can understand each other and have special prayers." Democracy is very important within our school and we enjoy to learn about the democracy within our country. Pupils have the opportunity to have their voices heard through our School Council and pupil questionnaires carried out by subject coordinators. The elections ‘MP’s, each year are based solely on pupil votes. The importance of Laws, whether they be those that govern the class, the school, or the country, are consistently reinforced throughout regular school days, as well as when dealing with behaviour and through school assemblies. Pupils are taught the value and reasons behind laws, that they govern and protect us, the responsibilities that this involves and the consequences when laws are broken. This year, we enjoyed learning about the Magna Carta and the laws that were met in 1215. Year three children were amazed to see the Magna Carta in Lincoln Castle. As a school we educate and provide boundaries for young pupils to make choices safely, through of provision of a safe environment and empowering education. Pupils are encouraged to know, understand and exercise their rights and personal freedoms and advise how to exercise these safely, for example through our E-Safety training (for staff, pupils and parents), Science and PSHE lessons. Whether it be through choice of challenge, of how they record in Maths, of participation in our numerous extra-curricular clubs and opportunities, pupils are given the freedom to make choices in our school. Our school is working towards becoming a ‘Rights Respecting School’. This will mean that the children will be empowered with the knowledge of their rights and of others. As a community, we will work together to ensure that everybody’s rights are met and provide support and encouragement where necessary. We will look at children in the world whose rights are not met and consider what we could do to help. Please check our website for developments towards achieving this worthwhile award. Posters around the school promote respect for others and this is reiterated through our classroom and learning rules, as well as our behaviour policy. In each of our classrooms, a ‘Class Charter’ will be developed by the children and their teachers, thinking about the rights that they have within the classroom but also of how those rights must be respected. The adults within our school will devise their own ‘charter’ to ensure that they respect each other and this will be signed by the governors, senior leadership team, teachers and support staff. This is achieved through enhancing pupils understanding of their place in a culturally diverse society and by giving them opportunities to experience such diversity. Assemblies and discussions involving prejudices and prejudice-based bullying have been followed and supported by learning in RE and PSHE. We have recently learned about and commemorated the Black History Month. We celebrate diversity and enjoy learning about the cultures within our school. Recently, we have taken part in a ‘Culture Day’, each year group focusing on a culture within our school community. Mrs Bland enjoyed teaching the children about her Croatian culture and Polish and French parents bought in activities and food to taste, it was great! Please follow the link below to find out more about this informative and fun day. Our values are embedded into our school curriculum through topics, lessons and worships. Please click on the 'Curriculum Booklet' and 'Worships' links below to see how this is put into action. Voting for School Councilors in a Ballot Office!